The Playhouse Company, an Agency of the Department of Arts and Culture, presents its much anticipated annual South African Women’s Arts Festival in Durban running from August 7 to18, 2018. 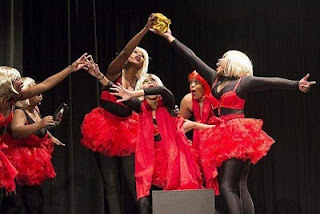 This year marks the 22nd Anniversary of the South African Women’s Arts Festival (SAWAF). In August 1956, over 20,000 women of all races marched in unison to the Union Buildings in Pretoria protesting against unjust apartheid pass laws. The march led to significant changes towards the emancipation of women. The 1986 stage production You Strike the Woman You Strike the Rock commemorated the 30th anniversary of that event. Now more than six decades on, this fresh new retrospective, adapted and directed by Matjamela Motloung for the Playhouse Actors Studio, asks how far have women’s rights progressed, and how much is still to be achieved? This gripping piece combines novel elements of fashion and photography with theatre. Runs in The Playhouse Grand Foyer from August 7 to 11 at 19h30. Tickets R80. 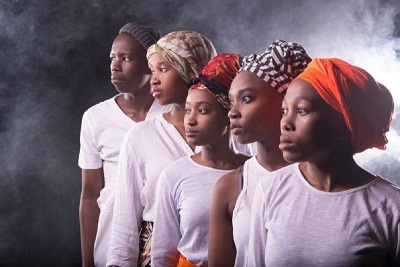 This powerful new Playhouse Dance Residency vehicle choreographed by Lulu Mlangeni explores gender stereo-typing, and the negative effects it causes. By tapping into the energy of unlimited human imagination, these barriers can be swept aside, freeing up the human race to realize and rejoice in its full potential, to the benefit of all. Runs in The Playhouse Drama from August 8 to 11 with performances on August 8 and 10 at 19h00, and August 11 at 14h30 Tickets R80. This year, the country also celebrates the centenary of one of the great daughters of the African soil Mama Albertina Sisulu, who dedicated her life to fight for the emancipation of women and the liberation of South Africa, among those who fought relentlessly and played a significant role to attain the freedom we enjoy today was Mama Winnie Mandela. The Playhouse Company pays tribute to such icons under the theme “Be The Legacy, with an extravagant concert starring Khanyo Maphumulo and Gloria Bosman featuring The KZN Philharmonic Orchestra and the Playhouse Chorale. One performance in the Playhouse Opera on August 11. Tickets R100 - R150. 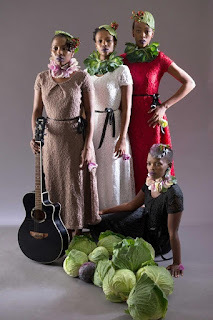 Written, directed and developed by Zimkitha Kumbaca, this intriguing presentation by Onalerona Collaborations incorporates music, poetry and dance into a satirical work which interrogates the representation of women in contemporary South African society: Are black woman at the bottom of the food chain? What is consent culture? Are African skin and hair being replaced with plastic? Runs in The Playhouse Drama from August 15 to 17 at 19h00 and August 18 at 14h00. Tickets R80. This multi-award winning one-hander, exposes the effects of colonialism through the vivid use of allegory. Set against the episode of the India epic, The Mahabharata, the play interweaves personal narrative and contemporary realities with the lives of two women from the founding years of the Cape Colony to interrogate the Womb of Fire that birthed South Africa. Directed by Dr Sara Matchett with design by Craig Leo, Womb of Fire is written and performed by Rehane Abrahams with vocal accompaniment by Lukhanyiso Skosana.Runs in The Playhouse Loft from August 15 to 17 at 19h30, and on August 18 at 15h00. Tickets R85. Commemorating the legacies of Mama Winnie Mandela and Mama Albertina Sisulu, we ask: what can we learn from the legacies of the past, and how further to we need to progress to ensure a free, safe and better life for women and girls in South Africa? This session will be chaired by Professor Deevia Bhana (UKZN), heading a panel that includes Crispin Hemson (DUT Peace/gender activist); Kwezi Becker (UKZN Student); and Dr Delarise Mulqueeny (Living with HIV). Takes place in the Playhouse Alhambra Room on August 12 at 12h00. Admission is free. The richness of Zulu culture is celebrated though beadwork and throws light on social structures and changing customs in different areas. Curated by Hlengiwe Dube, the fascinating catalogue looks at the Zulu beliefs system of their ancestors and how they affect the community at large. These beliefs were crystalised through the intervention of traditional healers who used beads to express themselves through instructions from the ancestors. On view in the Alhambra Room throughout the festival, with interactive displays in the Main Foyer 7, 8, 10, 11, 15, 16, 17 and 18 August at 10h00. Admission is free. This exciting element in the SAWAF programme will be curated by Kelly Grevler of Sidewalk Sessions. Children between the ages of 6 to 16 will receive free guitar lessons. The event will feature the performances of Biko & Mana Nhlangothi. The Grand Foyer on 11 August between 12h00 and 14h00. Admission is free. SAWAF also includes added attractions of four Sundowner concerts. These vibey jazz events are up for grabs on: 10 August (featuring Dawn ‘Thandeka’ King); 11 August (spotlighting Khumbu and Nozuko Lilitha and Ndu Shezi); 17 August (showcasing Angel Zondo); and 18 August (with the Dani Foster Trio). Main Foyer at 17h00. Admission is free.